Arc Blow occurs when stray magnetism in the fixture or surrounding equipment pulls the arc to the left or right out of the seam alignment. This causes lack of penetration and possibly an un-welded section that must be reworked or scrapped. The DirectArc™ Magnetic Arc Control Systems creates a strong magnetic field at the arc that overpowers the stray magnetism, which we can control to provide consistent, repeatable welds. In high-speed welding applications, Arc Drag reduces the penetration and quality of the weld because the arc actually follows the material’s direction as it passes below the torch. This increases the arc voltage and can cause erratic arc behavior. Our DirectArc™ Magnetic Arc Control Systems overcomes this problem by applying a strong magnetic field at the arc into the direction of travel, positioning the arc directly below the electrode, thereby regaining the penetration and quality of the weld. Porosity can be caused my many things from trapped gases in the puddle to impurities in or on the material. DirectArc™ Magnetic Arc Control Systems eliminates this by stirring the puddle using a magnetic field, similar to an operator “Walking the Cup,” bringing the gases and impurities to the surface of the material. Undercutting is a difficult problem to control because you need sufficient amperages / heat to join the members of the weld, but too much heat will dig into the sidewalls and cause undercutting, cracking and a possible lack of fusion in multi-pass welds. This is particularly difficult on thick-to-thin materials, where the higher amperages required to melt the thicker material will undercut the thinner member or possibly burn though it. The DirectArc™ Magnetic Arc Control Systems prevents this by creating a weave pattern with different dwell times to concentrate the heat on the thicker material while sweeping down to pick up the thinner material. The DirectArc™ Magnetic Arc Control Systems offer solutions to the above problems but these systems can also provide contouring of the weld bead to minimize second operations and improve the appearance of the weld. The DirectArc™ systems bolt directly onto your present torches, immediately improving both weld quality and productivity. 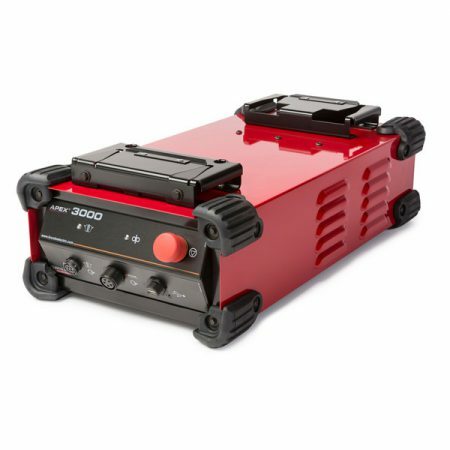 Predominately used in Gas Tungsten Arc Welding (GTAW) and Plasma Arc Welding (PAW) applications, the DirectArc™ systems also benefit Submerged Arc Welding (SAW) and Spray Gas Metal Arc Welding (GMAW Spray) applications by minimizing arc blow and arc drag, focusing the arc placement where it is needed—beneath the welding torch. Capable of offering benefits in ferrous (mild / carbon steel) and non-ferrous material (aluminum, stainless steel) in both AC and DC welding applications, DirectArc™ systems offer the same benefit to the weld and bead contour no matter which process is used. The microcontroller based control units are rugged and reliable and are offered in a simple-to-operator package. With four control models to choose from, it is easy to select the right system for your application. 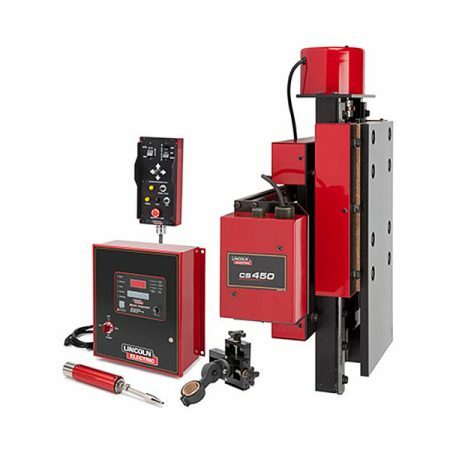 The MA-40 dual-axis model is great for tube and pipe mills because it can not only oscillate the arc left and right across the seam to provide good tie-in, but also push the arc into the direction of travel to offer preheating, typically resulting in increased travel speed compared to welding without the DirectArc™ system. We have three single-axis DirectArc™ systems—two that can oscillate the arc and one that is strictly an arc stabilizer. The MA-10 is our arc stabilizer and is used to control arc blow and arc drag and can control the arc with simple switches and potentiometers on the front panel to direct the arc and stabilize it in a static method (no oscillation). The MA-20 and MA-20A are our single axis models that can stabilize the arc, like the MA-10, but can also oscillate the arc. The MA-20 DirectArc™ Magnetic Arc Control is our most popular model and offers the most flexibility working with different materials, thick-to-thin material applications, narrow grooves, etc. 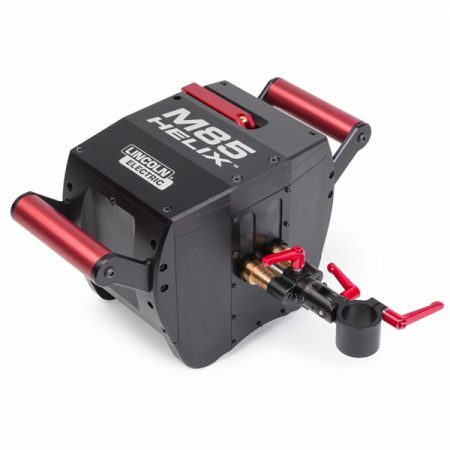 The unique feature of this control is the independently adjustable Dwell Times, which enable the system to perform thick-to-thin material welding without undercutting or burning through the thinner material. 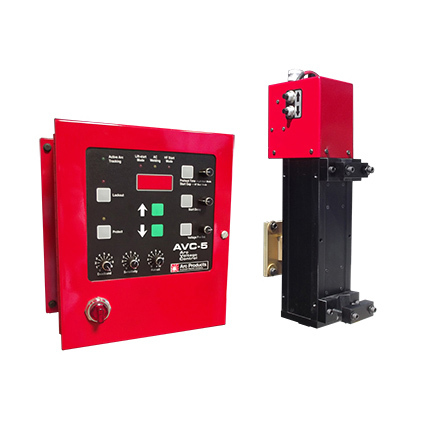 The MA-20A DirectArc™ Magnetic Arc Controller with Arclink offers the same features and benefits as the MA-20 controller, but is controlled through our APEX® 3 Series systems for use in mechanized GTAW welding applications. The MA-20A has a blank front panel and is housed in a smaller enclosure because all of the control functions are digitally sent to the control through the APEX® 3 Series system. We offer 4 probe choices for the MA-20, MA-20A and the MA-10 control units. Each probe has unique characteristics that benefit one application over another. The MP-1 is our most popular probe, especially when used in GTAW applications with filler wire. 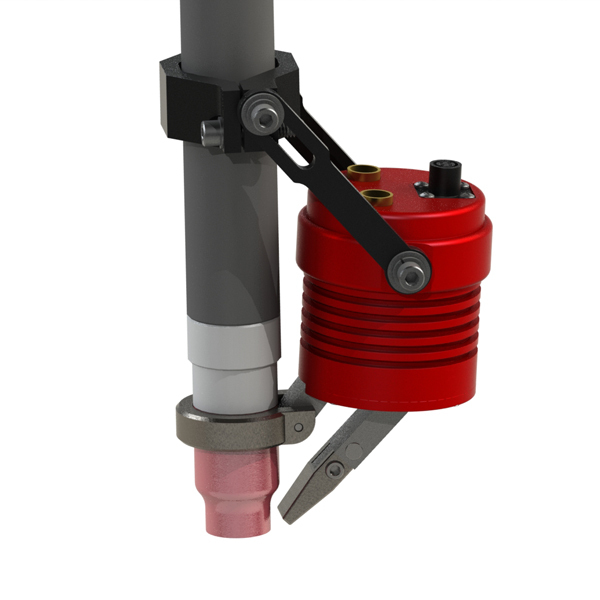 This probe mounts to the torch and is positioned opposite the direction of travel allowing the wire guide mechanism to mount to the front to feed wire to the lead edge of the puddle. The MP-2 is our next popular model and is a toroidal design (doughnut shaped), sliding the torch through the probe to mount it. Because of the small space required for this probe, it is ideal for Tube and Pipe mills allowing it to fit comfortably in the weld box. The MP-100 is most like the MP-1, whereas it mounts to the backside of the torch, but this probe has significantly more magnetic field strength, allowing it to perform better in high amperage welding applications when the arc is harder to move. Its laminate core, over the solid core of the MP-1, and the return ring that slips over the gas cup of the torch provides better energy efficiency and stronger magnetic fields. It is slightly larger in diameter than the MP-1, but if you have the physical space in the weld area, you’ll instantly see the benefits. Our last probe for single axis oscillation is our MP-22. This is our biggest probe and offers the same magnetic field strength as the MP-100. The probe typically mounts to the torch and is positioned to the side of the torch—parallel with the seam. A great choice for Spray GMAW and Submerged Arc applications, which typically have space needed to accommodate this larger probe. The MA-40 probe has one probe—the MP-4. The torch slides inside this toroidal designed probe and is mounted securely with four bolts. The four laminate coils of this probe allow for dual-axis oscillation and stabilization of the arc. Great for tube and pipe mills because it can not only oscillate the arc left and right across the seam to provide good tie-in, but also push the arc into the direction of travel to offer preheat ing, typically resulting in increased travel speed compared to welding without the DirectArc™ system.